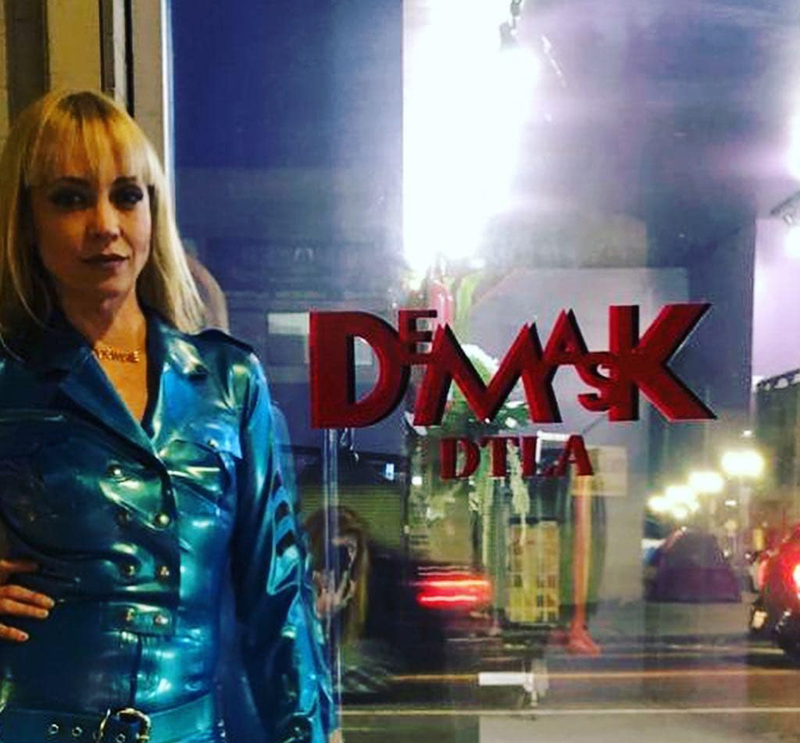 Demask Los Angeles | American latex shop and Outlet. Demask is a world famous brand, we create the finest latex fashions. Now we also have an active outlet of our latex clothes right here in America. Right here in downtown Los Angeles you can find us. The store is led by none other than Isabella Sinclaire, so if you have any questions - she is your go to person! This all American latex shop will help you further with your ideas and latex wishes. Demask is immensely popular in both the states and europe, we aim to produce the finest clothing and every single item is handcrafted up to perfection. Our latex products are pure vegan and environmental friendly. So if you are searching for an American latex shop, Los Angeles is your place to be.